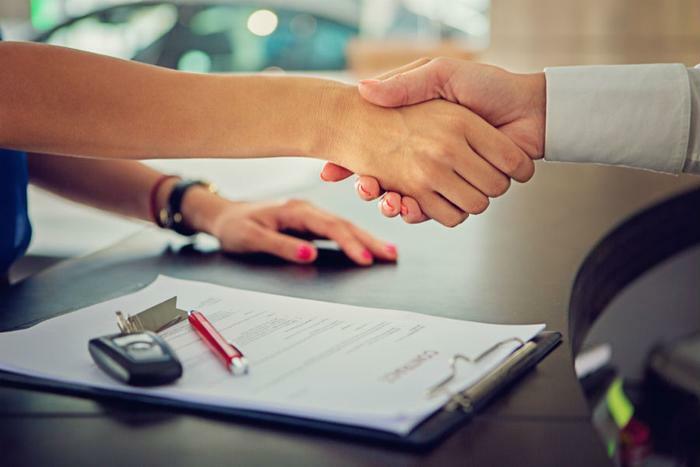 Consumers hoping to lease a new car found plenty of deals in March, and one industry source reports many of those bargains have spilled into April. A number of manufacturers are still offering discounts on mid-size and large SUVs, as well as truck deals. In something of a surprise, lease prices stayed flat or actually rose on many small and mid-size sedans, according to Wantalease.com, an online leasing marketplace. The site reports the Nissan Sentra has the lowest monthly lease payment of all vehicles, coming in at just $109 per month -- the same price as in March. It's currently priced below the Honda Civic, which had offered the lowest payment -- $149 -- over the last six months. In April, consumers leasing a Civic should expect to pay $189 a month. According to Wantalease, the bargains this month are mostly centered on mid-size and large SUVs, as well as small pickup and large pickup truck segments. The vehicle seeing the largest price drop in April is the Chevy Silverado 1500 4WD Double Cab. Wantalease reports the truck can be leased this month for $299 a month, a relatively low payment for a full-size pick-up. Edmunds.com reports the average lease payment for a truck sold between January and September 2016 was $431. That's still significantly less than the average finance payment of $615. Other truck and SUV lease deals this month include the GMC Canyon Crew Cab for $249 per month, the Ford Expedition at $469 per month, and the Ford Explorer at $349 per month -- all with April payments below what consumers paid last month. Both the Chevrolet Cruze and Chevrolet Malibu saw sharp increases in lease payments in April, but both are still under $200 a month. March sales figures compiled by Kelley Blue Book (KBB) show which cars went up in price and which went down, helping consumers locate the best buys. Hyundai-Kia saw the biggest drop from February -- 0.9 percent -- followed by Subaru and Honda. High performance and high-end luxury cars saw prices fall the most -- at 1.7 percent and 1.8 percent, respectively. Prices for minivans were down 0.8 percent.